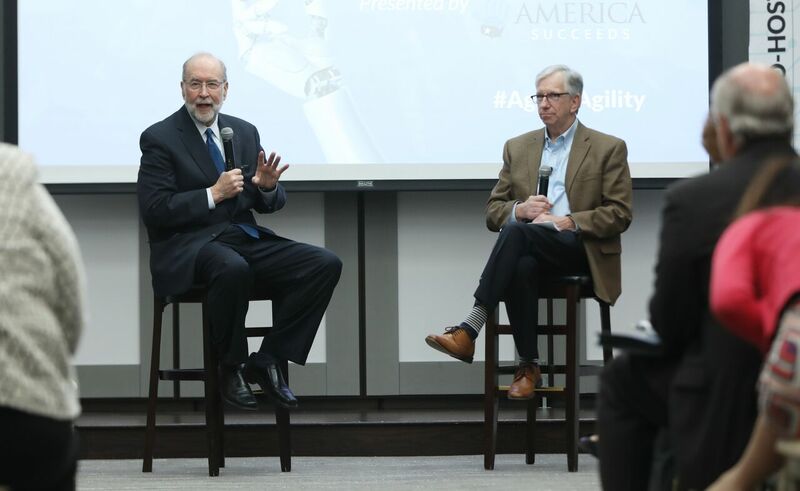 On Wednesday, January 9th, JerseyCAN hosted the Age of Agility Summit. In partnership with America Succeeds, who included New Jersey as part of their national Age of Agility tour, and our local partners NJBIA, the Chamber of Commerce, and the Research & Development Council of New Jersey, we brought leaders in business, education, and policy together to discuss innovation, education, and workforce pathways. If you were able to join us, thank you for your participation and enthusiasm during the event! Your questions were an essential part of the discussion. If you couldn’t be there, we wanted to make sure to provide a recap, share some of the lessons we learned from the event, and invite you to continue these conversations with us in 2019 and into the future! We were thrilled to have Carl Van Horn and Dennis Bone with us to provide the keynote address. Van Horn is a Distinguished Professor of Public Policy at the Bloustein School of Planning and Public Policy, the founding director of the Heldrich Center for Workforce Development, and Senior Advisor for Strategy and Planning in the Office of New Jersey Governor Phil Murphy. Bone is the inaugural director of the Feliciano Center for Entrepreneurship at Montclair State University, former President and CEO of Verizon New Jersey Inc., chairman of New Jersey’s State Employment and Training Commission, and founding chairman of Choose New Jersey. Two themes emerged from the keynote: education of the future must be lifelong and experience-based. 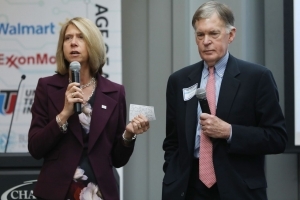 Van Horn and Bone emphasized that the United States spends less on lifelong learning than other OECD nations and noted that adults need opportunities and encouragement to continue expanding their skills. They also highlighted collaboration between business and education. Business can offer experience-based learning opportunities for training, supervision, and industry credentials, and educational institutions can work to tie classroom learning to work experiences. 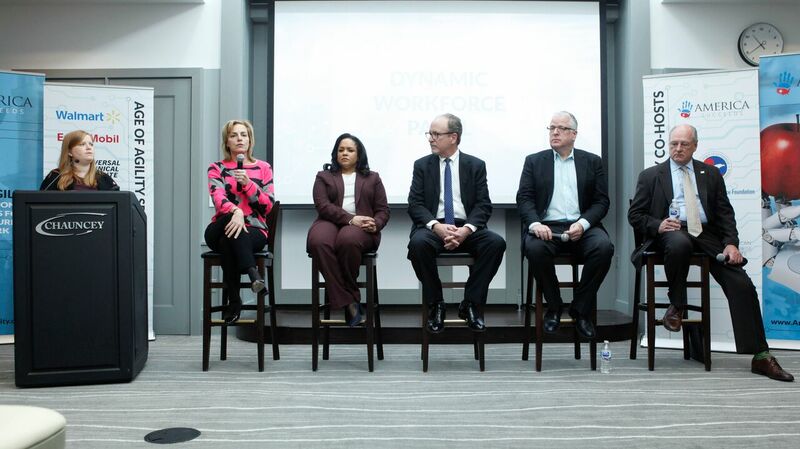 Many echoed the sentiments of the keynote, advocating for partnerships to improve education-to-workforce pipelines, such as IBM’s P-TECH model. But they also were also quick to highlight that even in a technology-driven world, social and emotional skills are critical. Teamwork, collaboration, and communication skills will always be valued in new hires, and education must maintain a balance between teaching technical skills and emphasizing these foundations. The panel ended with a reminder that flexibility and excitement are essential in the face of change. If we want to get students excited about the technology-driven workforce, we should be getting excited about technology in our own work. 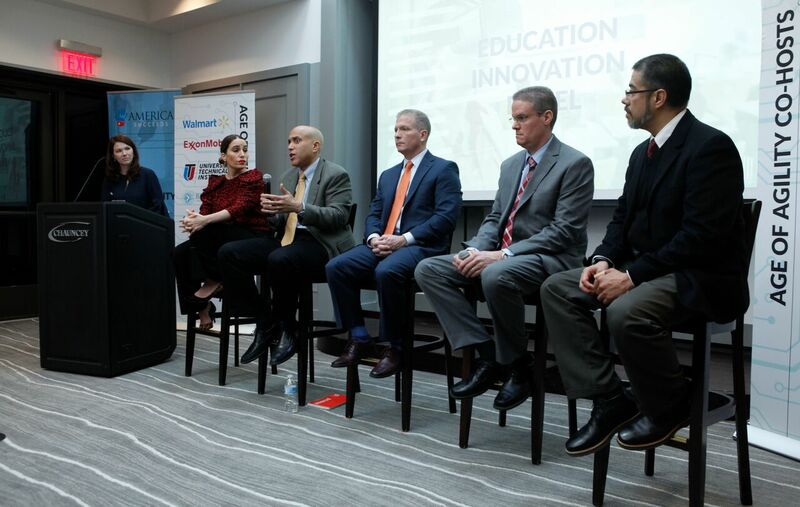 Speakers emphasized leading schools like designers, embracing growth mindsets, and building education staff capacity. 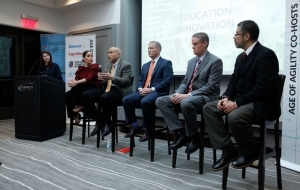 Other topics included newer models like college alternatives and competency-based credentials. 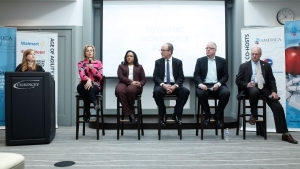 Attendees were also encouraged to remember and be conscious of lingering structural inequities that plague many systems, and how such inequities complicate access to new workforce opportunities. The day ended with a call to action from Thomas Bracken, President and CEO of the New Jersey Chamber of Commerce, and Michelle Siekerka, President and CEO of NJBIA. Both echoed the importance of cross-sector bridge building, perhaps the most popular theme of the day. If you’re interested in more coverage of the event, check out our press release in NJBIA’s News & Opinion section and my op-ed, “How to Prepare New Jersey Workers for Seismic Job Changes,” in NJ Spotlight! Stay tuned for more details on the next phase of our work. Continue watching this blog for weekly updates on work JerseyCAN is doing to promote excellent education for all New Jersey students.